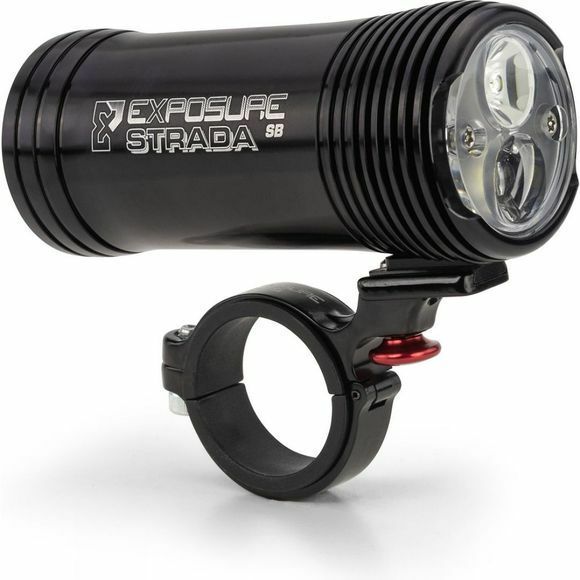 Exposure has created the Strada Mk9 Super Bright for road riding with a Road Specific beam to illuminate even the darkest of rural roads. This powerful light has side illumination for 180 degree visibility and safety at junctions and DayBright flash pattern for daylight use to be safe, be seen. A high capacity battery combined with Smart Port + to power additional lights and Fuel Gauge to check battery information, you'll never be stuck in the dark. Fast Charging has also decreased charge time by up to 40%. Other useful technologies like Intelligent Thermal Management, Optimum Mode Selector and a clever Cable Free Design make this a top of the line road light. The Strada SB comes with a Smart Port Remote Switch Mk2, a quick release bracket, a smart charger and a USB charge cable.